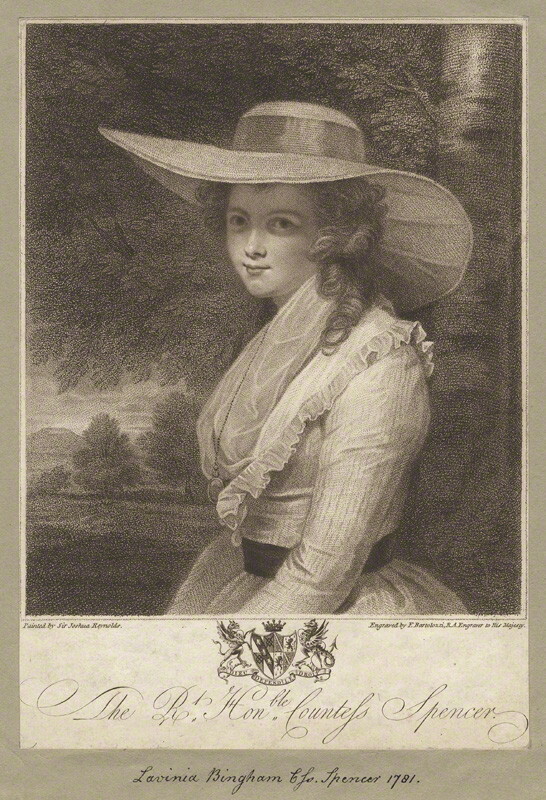 Lavinia Bingham, the daughter of Sir Charles Bingham, 1st Earl of Lucan and Margaret Smith, was born on 27 July 1762 at Castlebar, County Mayo, Ireland. The baby would grow into a beautiful young woman with blonde hair and blue eyes. 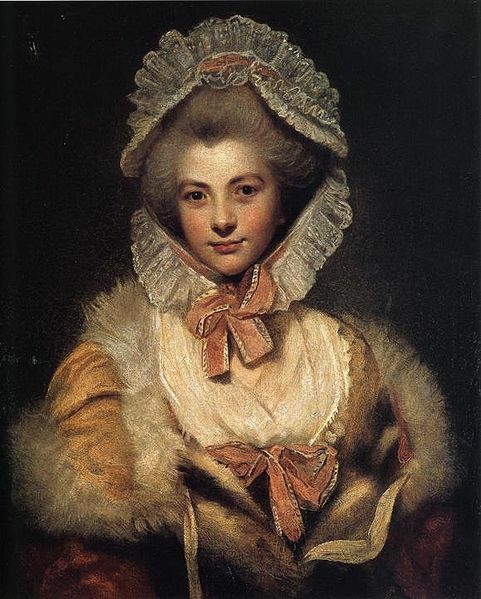 But Lavinia was also clever, and, having mastered the rules of etiquette well, knew how to behave in polite society. When the young George Spencer, brother of Georgiana, Duchess of Devonshire, met her, he was captivated by her charms. Despite her lack of wealth, the couple got married on 6 March 1781 at Charles Street, Mayfair, London. However, Lavinia wasn’t as angelic as her appearance may have led people to believe. She was very jealous of her husband and didn’t want anything, or anyone, to come between them. Not even his sisters. Rather than befriend her sisters-in-law, Lavinia criticized them, especially Georgiana. She constantly found fault with what the Duchess did and even complained of her to George. Poor man, caught between his wife and his sister! His sister Georgiana was the Queen of the ton, and even though her life was far from perfect, she was very envied for her charms, position and wealth. Lavinia, who should have known better than most people what Georgiana’s life really was like, envied her too. The feud would end only towards the end of Georgiana’s life, when the two women, who were both very interested in politics, gave a political ball together. Lavinia died, aged 68, on 8 June 1831 at Spencer House in London. She was buried at Brington, Northamptonshire.